No 55 Spirit of Race LMC LMP3. Red Bull Ring, Austria. Photo: Kristof Vermeulen. Nielsen Racing topped the LMP3 times in Thursday’s Le Mans Cup Free Practice 1 with Colin Noble setting a 1:26.999. Alex Kapadia brought the #14 RLR MSport Ligier in 7/10ths behind setting a 1:27.779. Third spot of the session was taken by the #4 Cool Racing By GPC driven by Iradj Alexander. 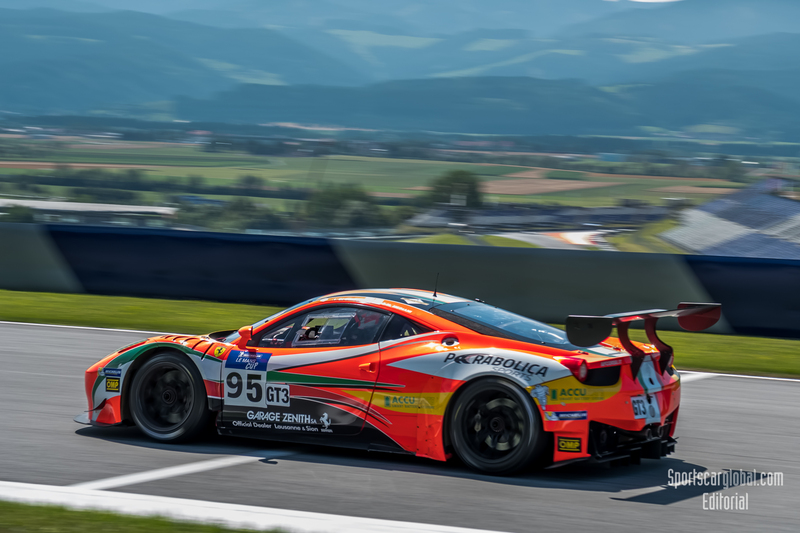 Spirit of Race’s #95 Ferrari 458 Italia topped the timesheets in the GT3 class when Maurizio Mediani set a very respectable 1:30.200 to set the 15th fastest time overall. The Lamborghini Huracan GT3 of Ebimotors was second fastest in class with Optimum Racing’s Audi R8 LMS closing out the top three. 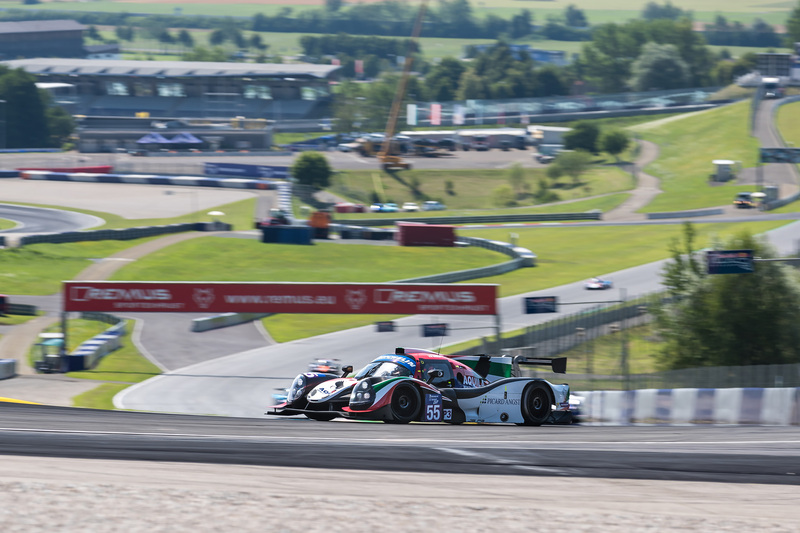 Friday’s FP2 was topped by Michele Rugolo in the #55 Spirit of Race Ligier JS P3 with a 1:27.500 set on lap 22. 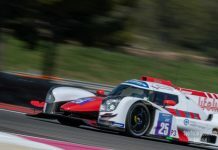 DKR Engineering’s Norma M 30 was a fractional seven thousandths of a second behind when Alexander Toril clocked in a 1:27.507. 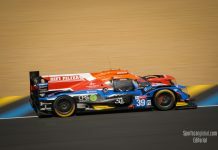 Listed as third was Matt Bell in the #22 United Autosports Ligier, to all intents setting an identical time to Toril’s (with the published timing not passing thousandths of a second) with another 1:27.507. 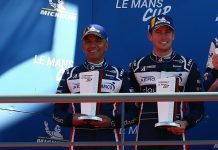 With all three of the fastest cars set a speed of 178.0 kph there really is nothing to call in the class at the moment. 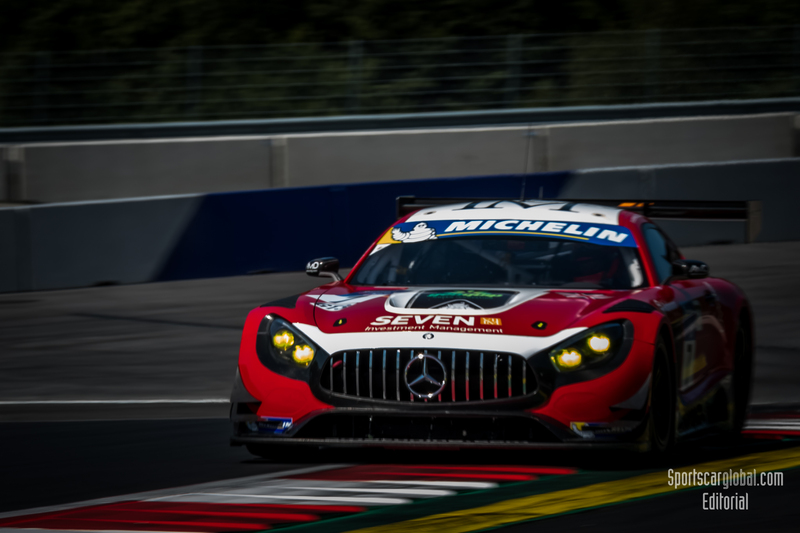 In the GT3 class, the morning’s honours went to the #7 Lee Mowle Mercedes AMG GT3 setting a time of 1:30.106. Maurizio Mediani again set the best time of the #95 Spirit of Race team to take second fastest, his 1:30.388 in the Ferrari 458 Italia marginally slower than his session topping time yesterday. The Lamborghini Huracan GT3 of Ebimotors just one thousandth of a second behind (1:30.389) to take third.